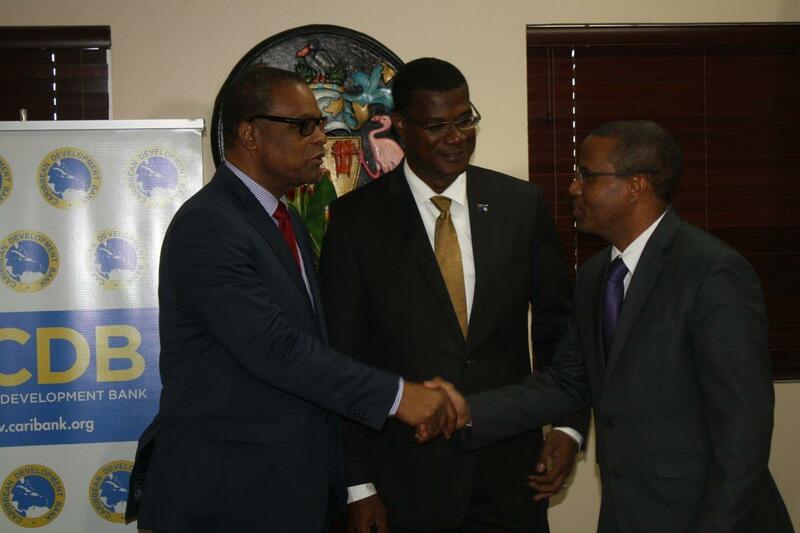 Following the acceptance of the Country Strategy Paper developed by Caribbean Development Bank, the Government of the Turks and Caicos Islands has moved quickly to work with the Bank to improve its economy and access technical assistance for transportation. Both a macroeconomic policy based loan and a transportation sector grant were approved by the Board of Directors of the Caribbean Development Bank on December 10. TCI will access a loan in support of its focus on improving economic resilience, implementing structural reform and boosting growth. The funds are also a fillip to a process that aims to lead to better public-private sector dialogue and shifts in approach to financial management. TCI’s recent reform programme, initiated in 2009, has led to expanded fiscal space. The country is building on this to improve the effectiveness and sustainability of its development agenda. “The pursuit of sound fiscal policy, a judicious debt strategy and the building of fiscal buffers are important for building economic resilience. The fiscal space that will be available needs to be utilized in sustainable ways to achieve desired development impacts. In that regard, GOTCI will need to improve both its capacity and framework for project implementation. CDB is pleased to support TCI as they continue to manage the economy, particularly the debt and diversification strategies,” said Dr Justin Ram, CDB’s Director of economics. To advance TCI’s capacity for project implementation a grant of US$199,650 will finance the development of a Master Plan for Transportation Sector. The funds are from resources provided by the European Investment Bank (EIB) to CDB under the EIB Grant Facility for Climate Action Support. The formulation of the Master Plan will include a climate risk and vulnerability assessment, and when completed, will identify the environmental, social, gender and economic transport infrastructure priorities for TCI. It will synthesise goals for international and national transport of TCI, and will define a realistic plan for implementation. The project will be implemented in two phases. Phase 1 will include a critical situation analysis of TCI’s transport sector, assessment of climate risk and vulnerability and consultations with stakeholders. Phase two will include the preparation of the Master Plan, as well as the development of a web-based online tool that will show connections and dependencies between proposed projects in the Master Plan. This tool is expected to be made available to all Government of TCI employees, and will enable informed decision making with full awareness of potential impacts on other projects. Projects identified by the Master Plan will aim to enhance the islands’ adaptive capacity and resilience to climate change, through appropriate construction, operation and maintenance, and by enhancing risk management of disasters as well as effects of climate change. The Caribbean Development Bank is a regional financial institution established 1970 for the purpose of contributing to the harmonious economic growth and development of member countries. The Bank’s founding president was noted economist and Nobel Laureate, Sir Arthur Lewis. There are nineteen regional borrowing member countries – including Guyana and Suriname and three regional non-borrowing member countries – Mexico, Venezuela and Colombia. Members outside of the Region are Canada, China, Germany, Italy, and the UK. As of December 31, 2014, CDB had total assets of USD2.61 billion (this includes USD1.38 billion of ordinary Capital resources and USD1.23 billion of Special Funds Resources). CDB has an “Aa1” with stable outlook rating with Moody’s Rating Agency, and an “AA/A-1+” with stable outlook rating with Standard and Poor’s Rating Agency. In 2014 the Bank approved loans and grants of USD269.5 million.